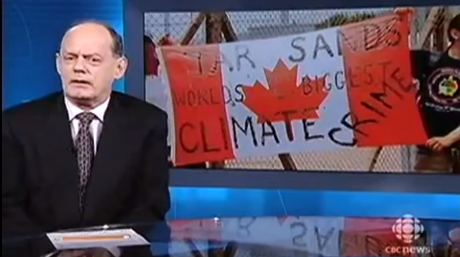 We've received a number of questions in recent weeks about Rex Murphy and his views on the oil industry. People have taken note that among his various public engagements, Rex has delivered speeches supportive of oilsands developments based on their economic benefit. And he's been critical of those opponents who, he believes, overstate the environmental dangers. The questions to us asked whether there's a conflict of interest here: how can Rex be an objective journalist when he's going out and speaking to oil executives? And if he's paid for those speeches, does that compromise his ability to be on our airwaves talking about the issue? And when Rex appeared on The National Jan. 17th and took a harsh view of musician Neil Young's recent campaign against the oilsands, those questions got a little louder. So let's clear the air, and give you the context you need to answer those questions. Rex's point of view, of course, is not the only one you hear on The National. The program is required to offer diverse perspectives on controversial issues. In this case, Rex's views were a direct counterpoint to an interview that had aired with Neil Young. That range of voices is what allows viewers to form their own opinions and goes directly to our mandate of providing balanced coverage as a public broadcaster. As much as Rex is identified with the CBC, he is not a full-time employee of the CBC. We have a wonderful freelance relationship that allows him to appear on The National and host CBC Radio One's Cross-Country Checkup. As a freelancer, Rex has the ability to do other work. So yes, he writes opinion pieces for The National Post. And yes, he does speaking engagements. He is not alone. Other prominent CBC personalities are freelancers, too. When they're not at CBC, people such as David Suzuki and Bob McDonald have more freedom to express their views in ways that full-time journalists at CBC News do not. Our regular staff abides by rules in our Journalistic Standards and Practices which state that "CBC journalists do not express their own personal opinion because it affects the perception of impartiality and could affect an open and honest exploration of an issue." It's understandable that this is confusing to people. But, remember this is ultimately about our programs and their content. They are all expected to demonstrate fairness and balance by offering a variety of views over time. And when Rex does something for the CBC, his work exists in the framework of our Standards and Practices - it goes through the same editing process as everyone else. The same rigour applies to his work as host of Cross-Country Checkup. In that program Rex and his producers are well aware that the voices that need to be heard are those of the audience, not that of the host. Rex asks challenging questions to people of all stripes, and strives to keep any personal opinion out of his work. The bottom line is that we are comfortable with the rigour of our policies, our editorial procedures, and our editorial leaders. And while it's fine for people to challenge his views, I want to say explicitly that we're comfortable with the content Rex has done for The National and Cross-Country Checkup, and we're confident about his independence - his point of view is his own. This issue reminds us of the benefits of being more transparent with our audience. We are working on that all the time - this blog is just one example. And we've already launched an active discussion about what information the audience should expect to have about the outside activities of our journalists.